Halloween is one day that awaited children besides Christmas and birthday. On Halloween day they will use their favorites spooky costumes and walk with a friends from house to house to say “Trick or Threat” and collecting for candy or chocolate. It’s nice to see your child happy. 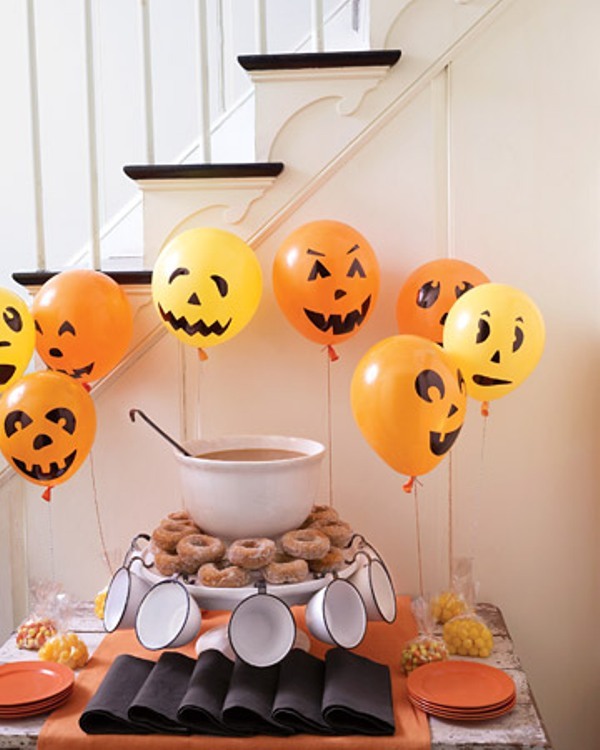 You can also make your child happier, by making a simple Halloween party with a funny and interesting decor. You can make a party inside or outside depending on the participants. If wanna to make private party, better you held in living room otherwise you can make simple outdoor Halloween party and your kid’s friends can join. Party decorations should be funny and not too scary so as not to frighten children. Make funny pumpkin carving a funny balloon that is drawn like a ghost is one of many ways you can try. HomeTrendy.org give some Halloween party decorations for kids and you can make easily at home.